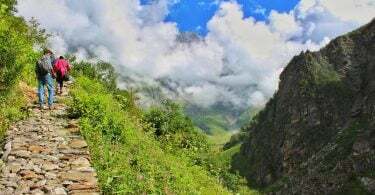 Home » Categories » Road Trip » An ideal itinerary for Spiti Valley Road Trip! Nestled in the bordering corners of Himachal Pradesh, Spiti Valley lies in the Western parts of Himalayas which witnesses less rainfall and has minimum vegetation. The life at Spiti is a perfect depiction of the saying “Less is More”! 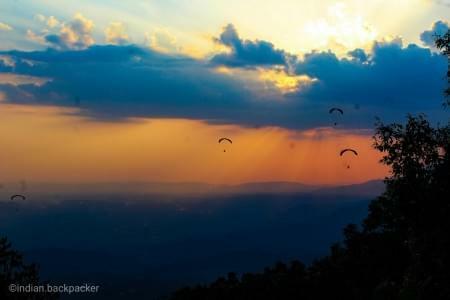 Known for its “beyond amazing” landscapes, rough terrains and a tough accessibility, it is one of the most loved places for travelers who like less-commercial and partially explored destinations! Spiti is not just a District or destination to explore; it is an emotion which can truly be felt by a lucky few! It casts a spell on you and once you have been here… You will forever have a part of you wandering here!! The second best way to experience Spiti is through a road trip (First would be on foot, provided you have that much time and stamina). The population here is really low thus limiting the public transport. 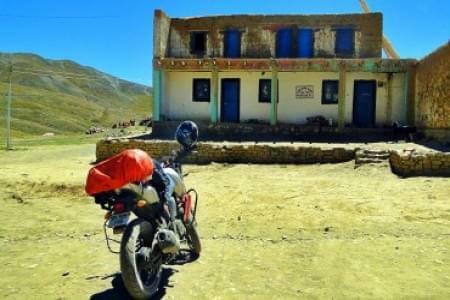 Ofcourse you can travel across Spiti with Public vehicles if you are an ardent traveler, yet I would suggest a roadtrip. This way, you get to make the most of it and take numerous pit stops for amazing photographs! Here’s an ideal itinerary (with moderate pace) for Spiti Valley en route Kinnaur based on my recent trips to this hamlet! Day 0- Delhi- Shimla (Overnight Volvo) Considering Delhi as the base, you can catch an overnight Bus from Delhi which drops you at Shimla early morning and this breathtaking journey would begin from Shimla! Day 1- Shimla-Sarahan (Overnight Sarahan)- With a Good Morning Kiss from the mountains, Leave for your journey towards Sarahan en route stopping at Narkanda and Rampur for breather breaks! You can visit the Bhimkali temple and the Sarahan palace and be awed at the typical Himachali architecture. Chill with the locals overlooking grand mountains and treat yourself to plate of Kinnauri Rajma-Rice, a staple of this region! Day 2- Sarahan- Chitkul- Rakcham (Overnight Rakcham)- This is going to be an amazing journey through some of the most treacherous roads of world. You will cross a number of those rocky semi-tunnels and blind turns. Drive till Chitkul, last village of India crossing Sangla and Rakcham, take a short hike and soak in the beauty. Drive back to Rakcham for your stay by the riverside valley. Day 3- Rakcham-Sangla-Reckong Peo-Kalpa (Overnight Kalpa)- Bid good bye to Rakcham as you leave for Kalpa. Explore Sangla in the morning, do the local sight-seeing and depart for kalpa driving beside Sutlej River. You will cross Reckong Peo which is the district headquater for Kinnaur and may have lunch here and leave for Kalpa. Explore the town and make mountain memories. Day 4- Kalpa-Nako (Overnight Nako)- It’s a short drive from Kalpa to Nako, but you will witness extreme and drastic landscape changes, from rocky and green mountains to beige barren lands! Nako is a small village which is house to a beautiful lake. It is advisable to stay at a camp/homestay beside the lake for best experience. Day 5- Nako-Gue Mummy-Tabo (Overnight Tabo)- Gear up for amazing drive across majestic barren mountains. Cross Sumdo which is a bordering village between Kinnaur and Spiti districts. Visit mystical Gue Mummy driving on a detour treacherous roads for 12 KMs. Post being amazed by the history here, leave for Tabo. Visit the monastery and explore market. Spend the night stargazing and preferably stay at the monastery guest house or a home stay. Day 6- Tabo- Dhankar-Lhalung-Kaza (Overnight Kaza)- It will be a tough goodbye to Tabo as you leave for Kaza. Drive through numerous Hairpin bends to mesmerizing Dhankar Gompa. Hike till the beautiful Dhankar Lake, and drive on the off road to Lhalung. Visit Lhalung Monastery and village. And drive down the Lingti Valley till main road crossing Rama village. Reach Kaza, the district capital of Spiti. Day 7- Kye monastery and nearby villages (Overnight Kaza)- Time for exploring the local villages and culture. Drive to one of the oldest monasteries Kye, and visit Kye and Kibber Villages. 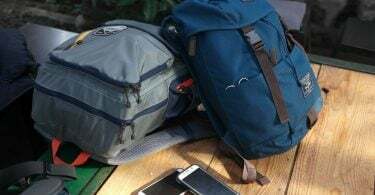 Post that, you can choose to explore from the numerous villages on the Left bank of Spiti river, however I would advice to not miss out on Lanza, Hikkim and Komik. Day 8- Kaza- Pin Valley (Mudh)- Kaza- Your drive to Spiti Valley isn’t complete if you miss out on witnessing the beauty of the Pin Valley National Park! Drive till the nature’s blessing in the form of Pin Valley National park, Rest for a while and have lunch at Mudh Village and drive back till Kaza. 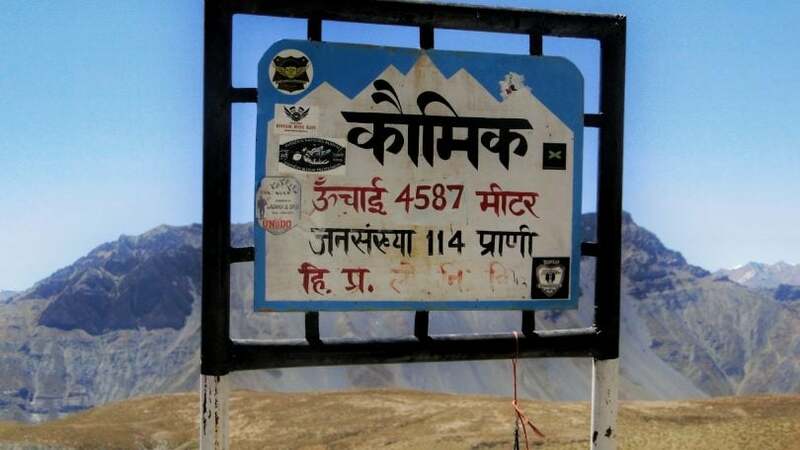 Day 9- Kaza-Kunzum Pass- Chandrataal (Overnight Chandrataal/Batal)- One of the most adventurous and beautiful drives of the trip as you head towards Chandrataal lake beside Spiti River. You will cross the mighty Kunzum Pass. Spend some “lifetime moments besides the enchanting crescent moon shaped lake and stay overnight at camps under a 5000 star sky! You may also drive down till Batal/Losar if you donot wish to stay at camps. Day 10- Chandrataal-Manali- These roads! I am not sure if this stretch should be reffered to as roads, since you are literally driving on gravel and mud for most of the time, and that indeed is beauty of this journey. Watch out for a number of road streams strong enough to wash away the vehicles. Cross Rohtang Pass and drive down till Manali. If you wish to make it a compact trip with lesser number of days and aren’t interested in exploring much of Kinnaur, you may skip the first few days and make it longer drives on the first two days by doing: Day 1- Shimla- Rakcham, Day 2- Rakcham- Nako, the rest remaining the same, thus completing the circuit in 8 days instead of 10. If you are traveling in Winter, the Rohtang and Kunzum Pass remains closed, which means you would have to take a round trip viz Shimla-Kaza-Shimla, you can modify the itinerary accordingly. Ideally, you may plan to do Shimla-Sangla-Nako-Kaza-Kaza(Villages)-Kaza(Pin Valley)-Tabo-Kalpa-Sarahan-Shimla. You may also choose to enter and exit through Manali in summer months when Rohtang is open; however, I wouldn’t advice the same considering acclimatization. If you still wish to drive down this route, you can modify the itinerary till Nako/Tabo.